Day 164/365: All Bound Up! 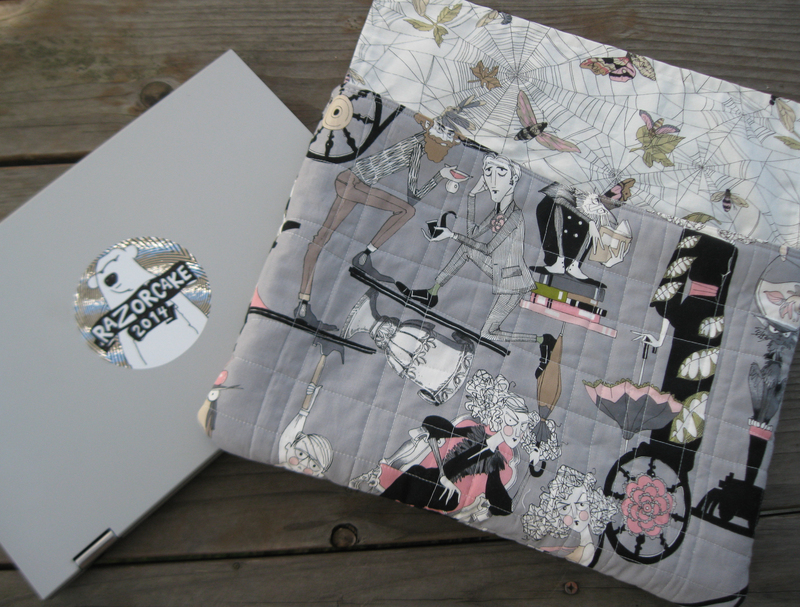 It took a few hours, but I finished hand-sewing the binding to the quilt. 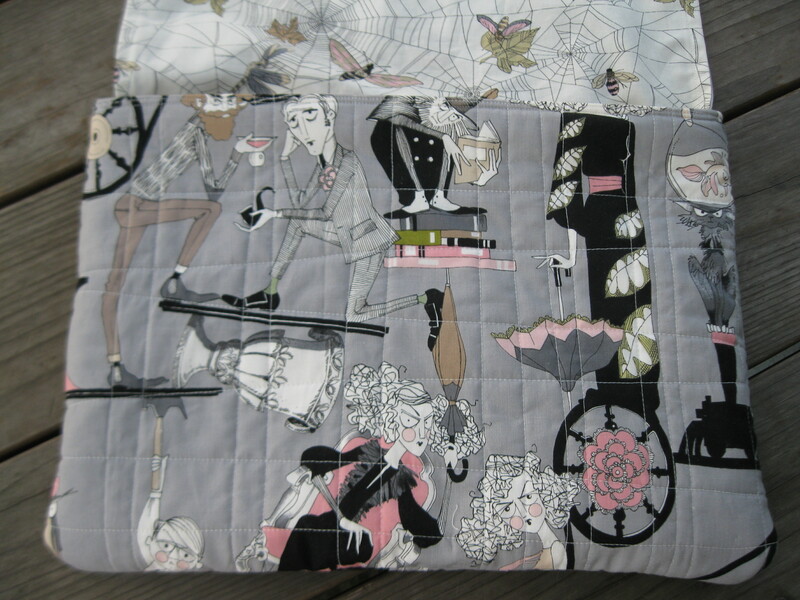 I thought you would enjoy seeing what the back of the quilt looks like. 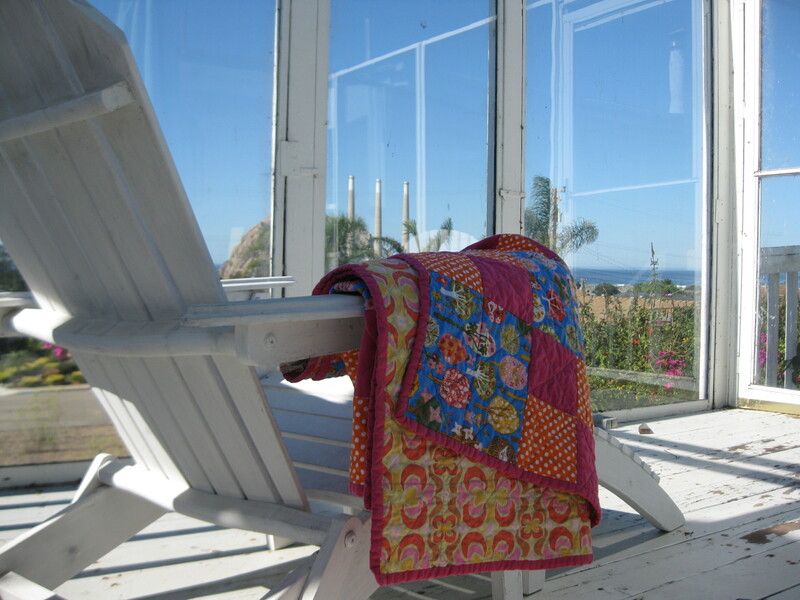 Stay tuned– I’ll post more photos of the full quilt tomorrow! 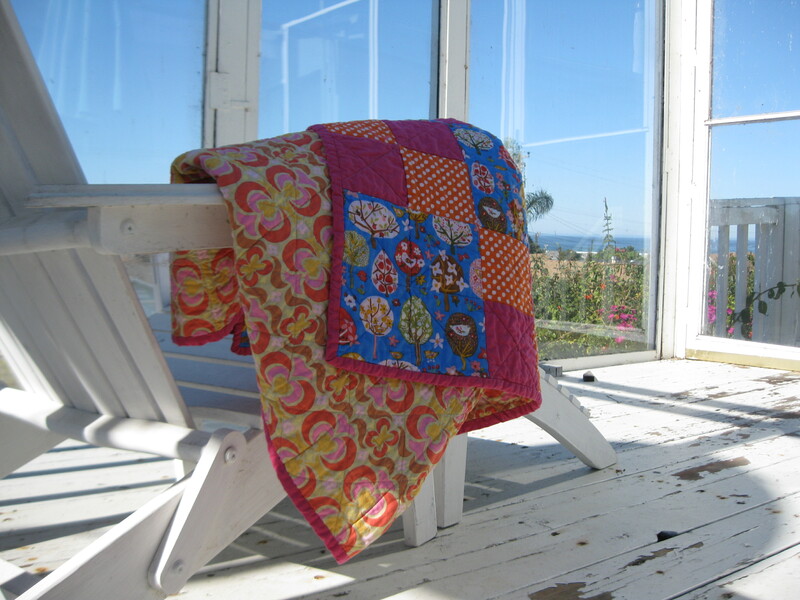 Categories: Handmade | Tags: quilt, quilted, quilting | Permalink. I sewed together those two ends. 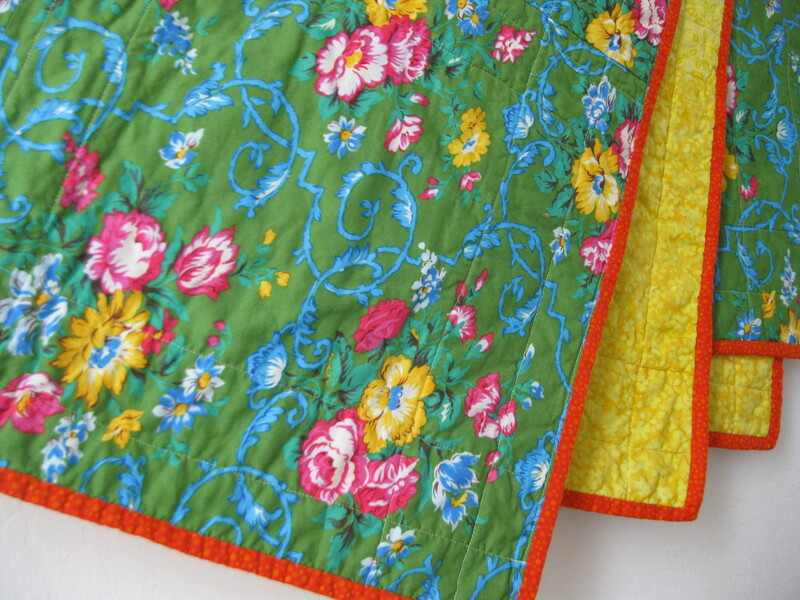 The last thing I need to do now is hand-sew the binding to the back of the quilt, using the ladder stitch. It will take me a couple of hours, I think, and then this project will be done! Day 161/365: Quilt Top of 28-Year-Old Blocks, Done! As you know from my last few posts, my mom has been visiting from out of town, and I’ve been putting together for her a project that she started back in 1987. I bought a yard and a half of the yellow cotton. I was able to cut enough rectangular strips, but then I didn’t have quite enough for the squares. The bummer is that I would have had exactly enough fabric if only I’d been a lot more careful with my measuring before slicing away with the rotary cutter. 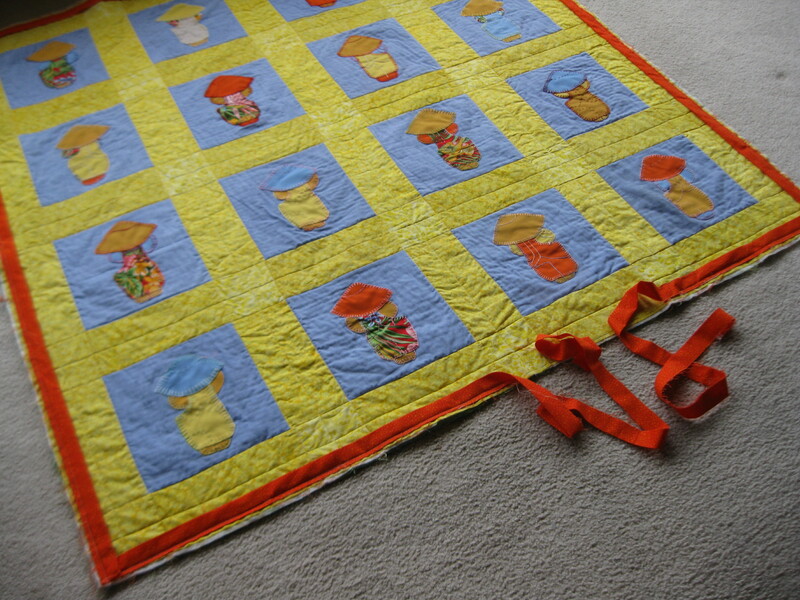 Arranging the placement of blocks on the sunroom floor. 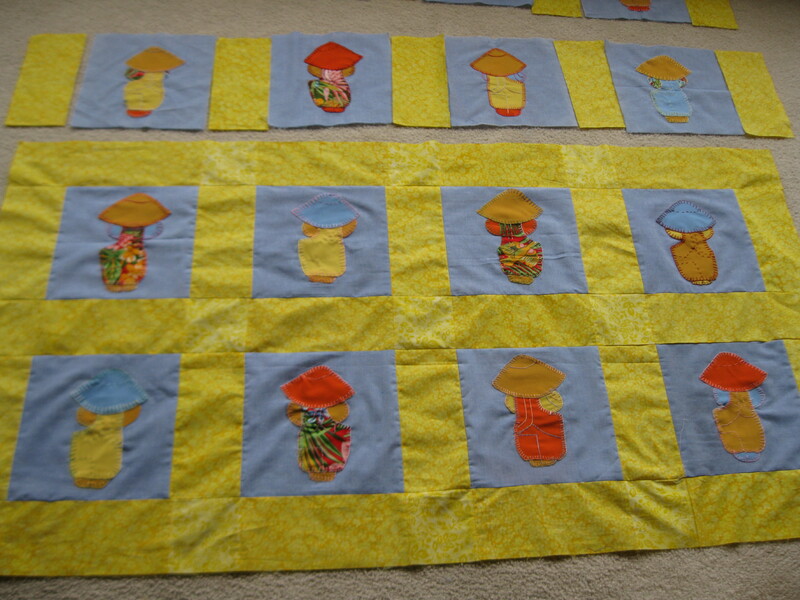 Luckily, I had remnants from another yellow cotton print and was able to use that fabric to fill in for the squares. 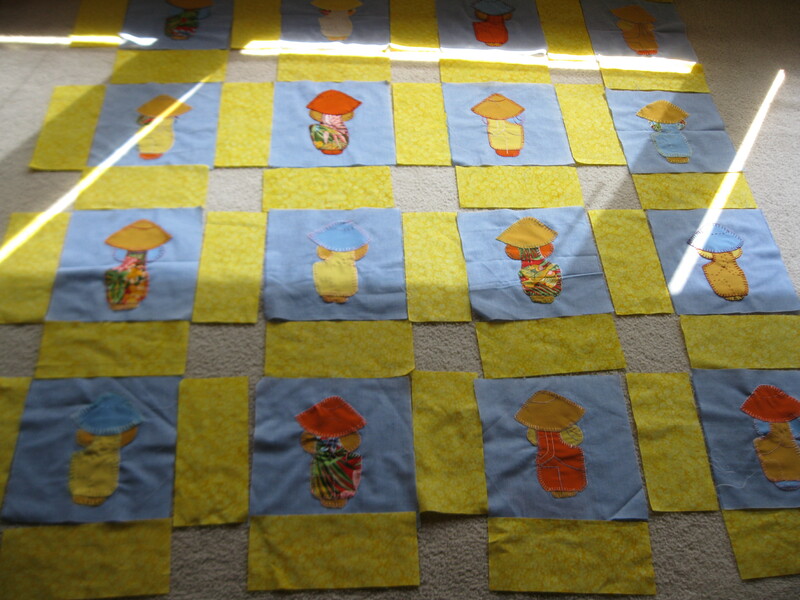 You can see where I used a different yellow fabric for the squares, but I think it turned out looking nicer that way. 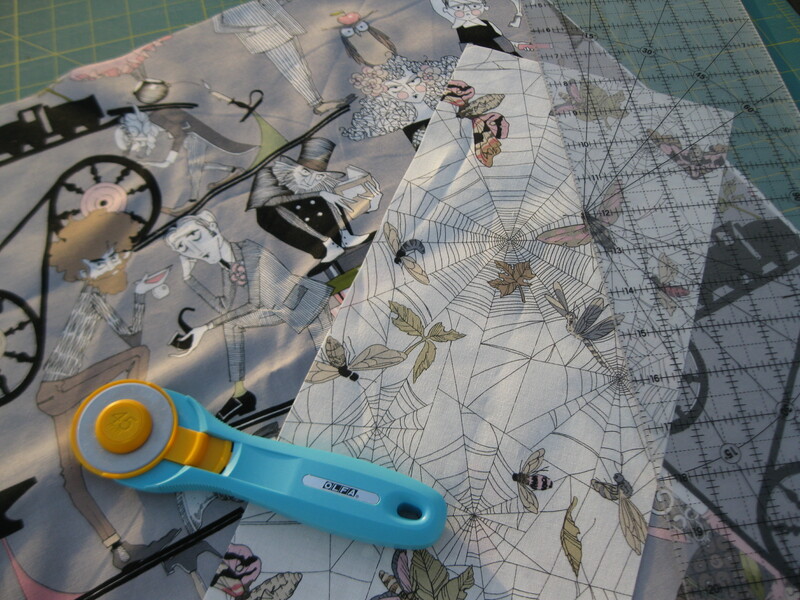 I finished sewing together the strips and– Ta-da! Completed quilt top. 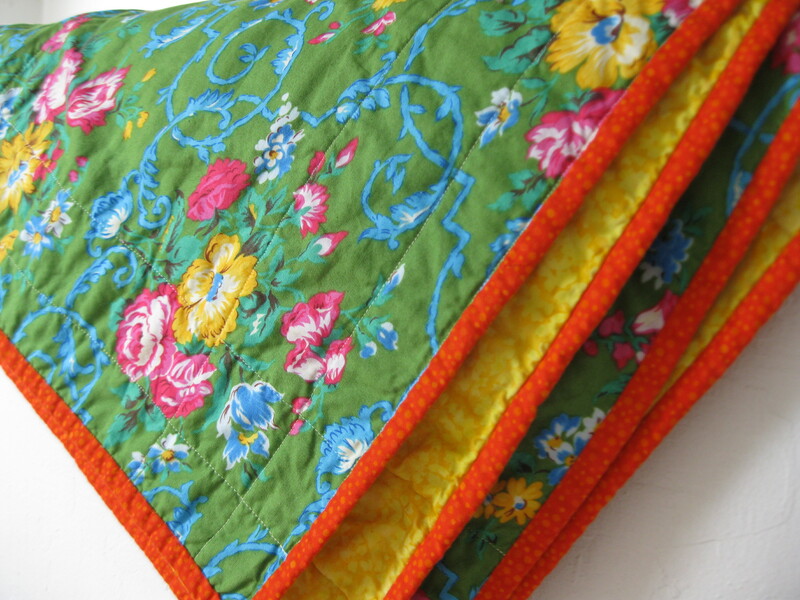 Categories: Handmade | Tags: quilt blocks, quilting, sewing | Permalink. So that’s what I did today, pretty much all day. 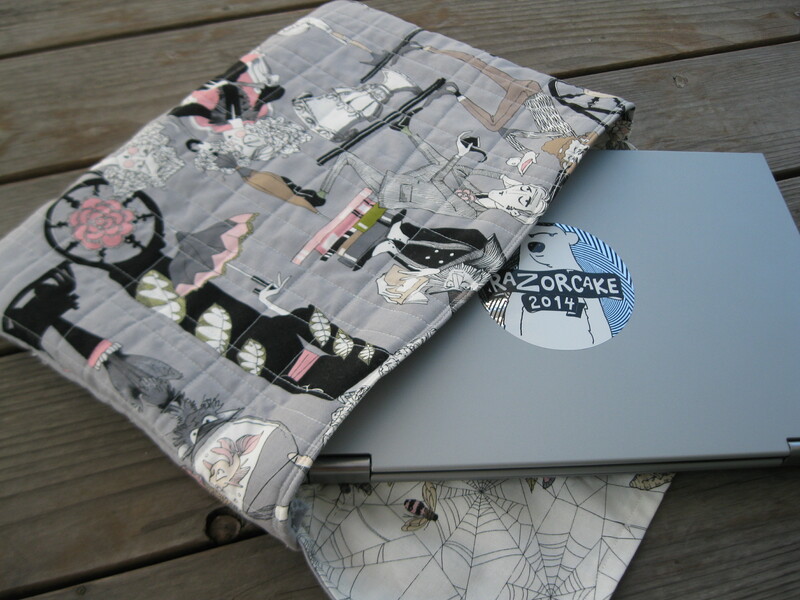 First I found what appeared to be a fairly simple laptop sleeve pattern through Google. Next I measured Sean’s laptop, did some math, and cut the pieces that I needed. Then I started sewing. Everything seemed to be coming along all right, until I got to the part where I needed to sew the lining into the sleeve. Then it became a frustrating cycle of sewing by guessing, inevitably messing up, subsequently ripping out the seams, and then trying again only to have the same results. Finally, after a couple of temper tantrums that involved screaming as loud as I could, flopping on the couch and sulking, I got up, discarded the instructions, and figured out my own way of putting the whole damn thing together. Now that it’s finished, I’m actually a little pleased with the final product. And there is a part of me that’s thinking, Hmm. Maybe I could make another one. 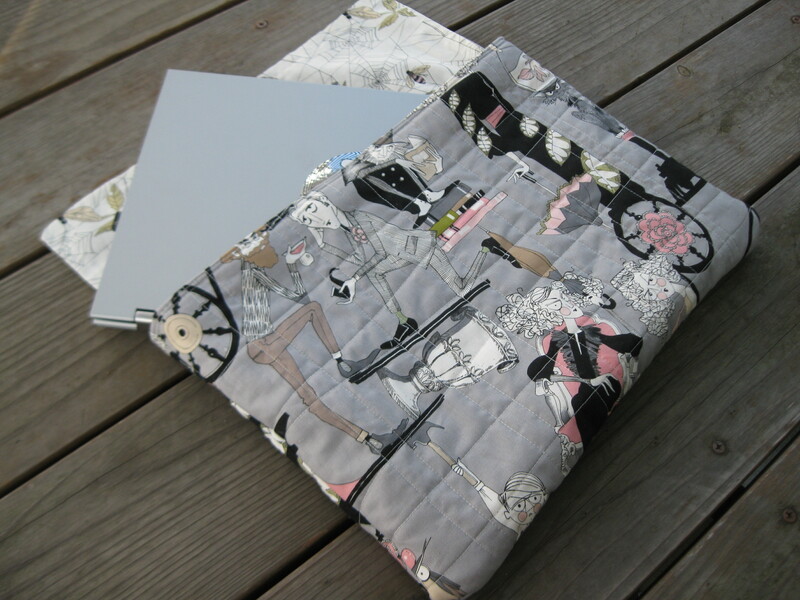 Categories: Handmade | Tags: laptop sleeve, quilted, quilting, Sean, sewing | Permalink. I don’t have any photos of a handmade project today, because by the time I remembered to take a picture, the sun was setting. So instead I am sharing a photo that I took earlier this week, on Monday, my regular day off. You can click the image to enlarge, and you can see a few things that I’ve written about already. 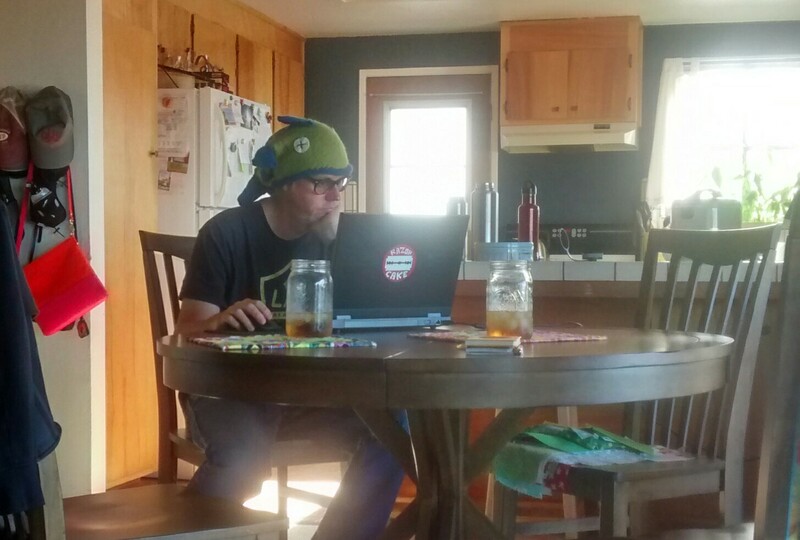 There’s the fish hat that I knitted, and the jars of iced tea instead of soda, and my first quilted placemat, and the people’s favorite, the Mexican wrestling masks placemat. 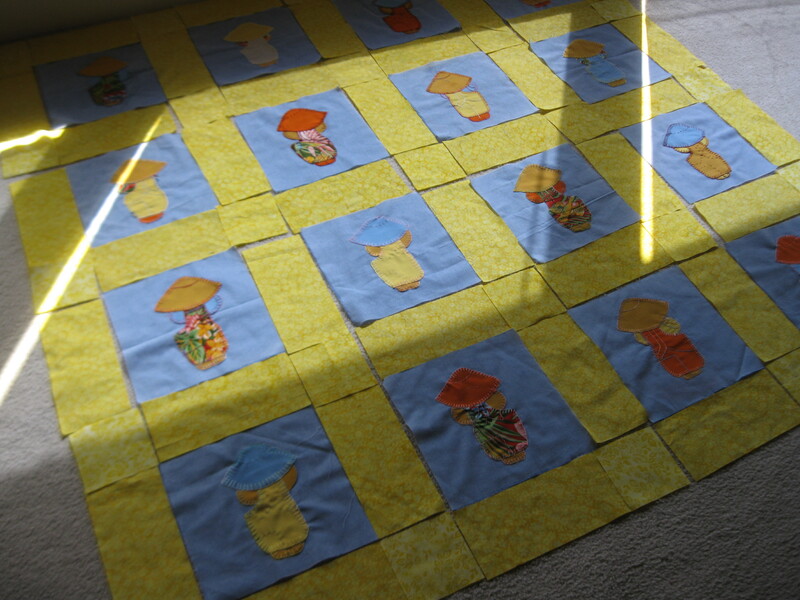 There’s a pile of fabric waiting to be made into something, maybe another patchwork block table runner. And of course, there’s Sean, who didn’t know I took this photo, because otherwise he would have made a goofy face at the camera. I like this photo because it captures a lot about the way we spend our time inside the house– relaxing, hanging out, engaged in leisure activity– and definitely not cleaning up. 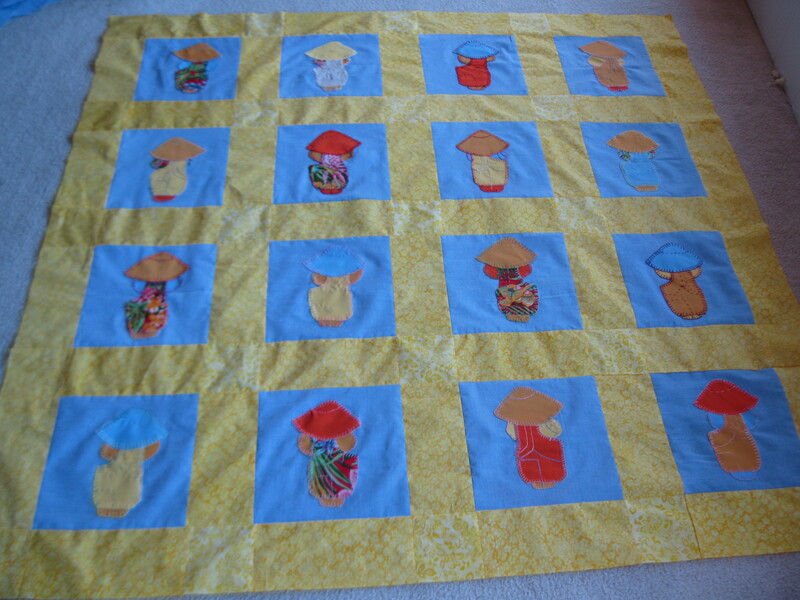 Categories: Handmade | Tags: fish hat, knitting, Morro Bay, patchwork, quilt blocks, quilted, quilting, Sean | Permalink.